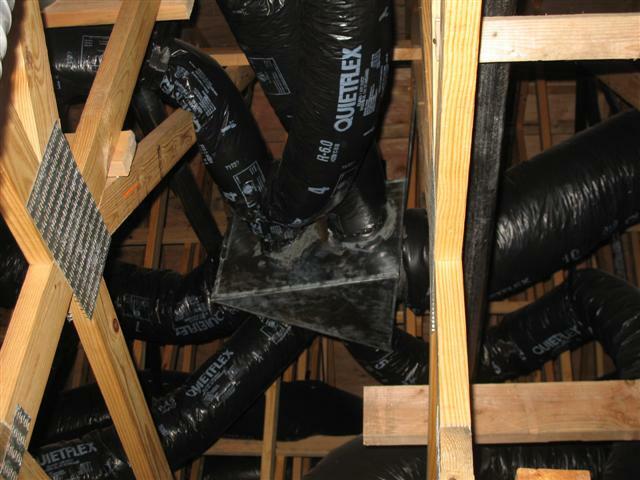 This is an octopus job, an quick and inexpensive and far from the best way to install ductwork. This was in a new house. Pretty bad.